Historically, real estate has been one of the very best investment vehicles. Not only has it competed favorably with stocks, but it has probably been the primary way that middle-class people build wealth. But there’s a big difference between being a homeowner and being a successful real estate investor. The degree to which you can be successful investing in real estate largely depends on your attitude and your understanding of the business before getting in. There are a few guidelines worth understanding before taking the plunge. 1. Never – ever – underestimate what you’re getting into. Real estate tends to be more complicated as an investment than most people anticipate. And it is certainly more involved than investing in paper assets, such as stocks, bonds or certificates of deposit. Real estate is hands-on; in order to make it work you have to embrace that reality. Many people mistakenly believe that real estate is an easy investment, simply because they have owned a house before, they’ve read real estate books or attended seminars, or because they see so many people making money in it. But no matter how easy it may look on the surface, never underestimate what you’re getting into by investing in real estate. Properties can require costly major repairs, tenants can bring lawsuits, and market values can break against you. It’s often difficult to anticipate these problems, let alone deal with them. You have to be aware of the many unique risks in real estate as an investment . . . and go in with the proper attitude and willingness to do whatever it takes. 2. The most fundamental “secret” of successful real estate investing: buy below market. Through much of the past 30 or 40 years, it’s been possible to make money in real estate just by buying a piece of property and waiting long enough for the value to rise. But today that is no longer the case. As we have discovered in recent years, real estate prices can go down as well as up, and you need to be prepared for that possibility. The most important factor in being a successful real estate investor is made when you purchase a property. You cannot simply buy a house or building at current market values – you must pay below market price. Not only will this practice give you a built-in profit when you buy, but it will also provide a measure of insulation in the event that property values fall. This is important whether you are buying a property to rent out, for a short-term flip, or for a long-term hold. The less you pay for a property, the less it will cost you to own and maintain it, and the more profit you will have at the time of sale. None of that will be possible if you simply pay the going market price for property. 3. Don’t count on rising property values to make your investment pay off. In past decades, real estate investors have made mistakes purchasing properties that soon after fall in value. Prices can fall as well as rise, and you can never know when the market will turn. 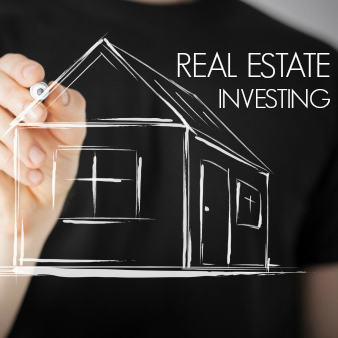 You have to think of real estate in much the same way that you would an investment in stocks. You have to get into it at the right time, and buy intelligently, otherwise you might get burned. In addition, each property is a standalone investment, and has to be profitable in its own right. You may not be saved from a bad deal by a rising market. 4. Tenants have legal rights – you need to know what they are. Ownership rights with rental property are very different than they are with an owner-occupied property. Though you may be the owner of a rental property, you do not have unlimited rights. Your tenants, as occupants of the property, have significant legal rights that may stand in the way of your ability to manage the property exactly the way you want. For example, you’ll need to comply with state and local laws in regard to both condition and amenities of any rental units. The property must meet safety standards, and you may be required to provide certain amenities, such as a stove and refrigerator, depending upon local law. In addition, eviction of a tenant – even for non-payment of rent – isn’t always as easy as it seems it should be. For example, if it is a family with children, it may take many months to evict the nonpaying tenant. You may also be required to perform certain maintenance routines in order to maintain the safety of the property. If you don’t, and there is an injury, you could face legal action. Before buying any property that you intend to rent out, be sure that you are thoroughly familiar with both tenants’ rights and landlord responsibilities under the law. 5. Borrowing money for investment property isn’t as easy as it used to be. Up until about 2007 it was fairly easy for investors to get mortgage money to buy property. You could buy with as little as 10% down, and sometimes you could do so with limited income documentation and even damaged credit. That last point is extremely important, since it is close to impossible to get a second mortgage on a rental property today. Beyond the basic mortgage, you’ll need to largely be self-funding for the future needs of your properties. Are you thinking about investing in real estate? Are you a successful real estate investor? Leave your thoughts in the comments! The enormous downside is the thing people don’t understand. I like to go after investment properties with more than enough rent to cover the bills. That way, if property values don’t go up, I’m still solvent, and can wait out any problems. Exactly – when it comes to investing in real estate, you can’t afford to cut it too close. There has to be sufficient margin to enable you to profitably survive the short run. It’s no surprise that investors were disproportinately represented among the foreclosed during the housing meltdown. They were relying entirely on the price spiral to make their money, and when it reversed they were stuck. But that’s not investing, it’s pure speculation.